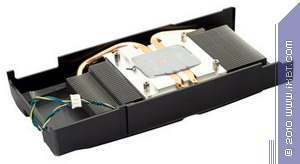 This cooler has three parts: the main heatsink, the power circuitry heatsink and the cover. 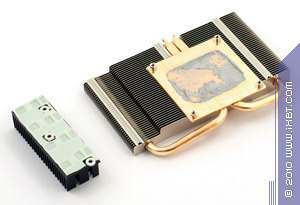 The main heatsink has copper base and cools only the core. 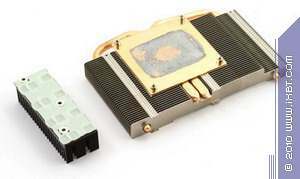 It also has heatpipes for improved heat dissipation. 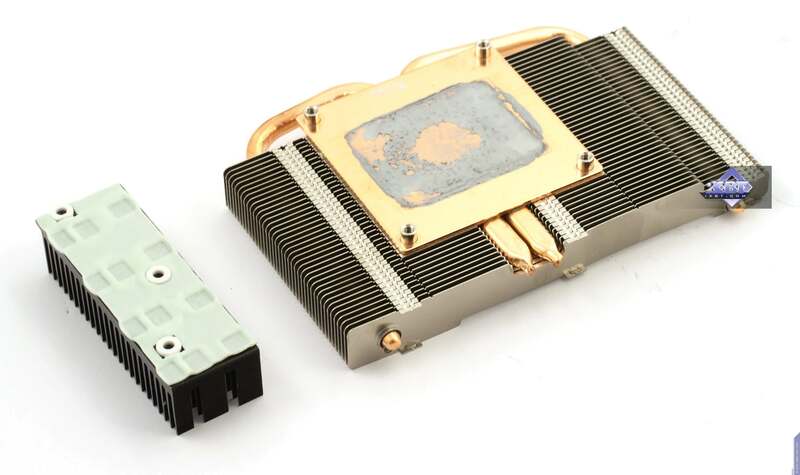 Both heatsinks are under the same cover that has a fan in the middle. 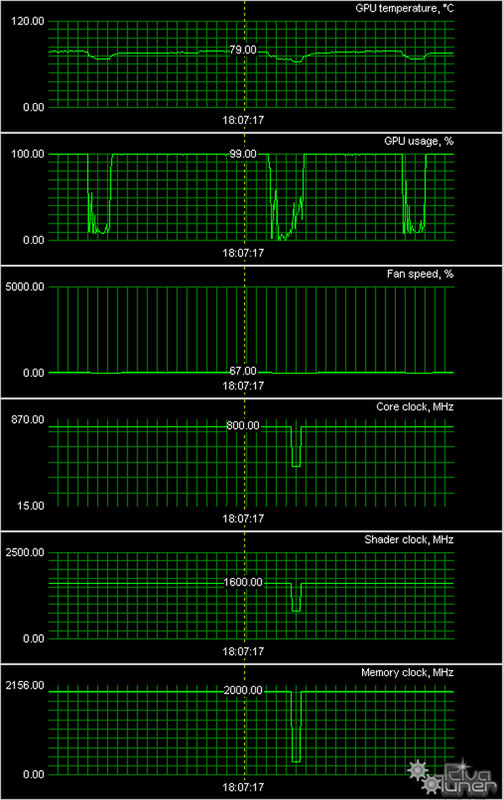 The fan is low-speed, so the cooler is nearly silent. This is a similar cooler, but it has no power circuitry heatsink. This fan is also a low-speed one, so the cooler is also nearly silent. This is a reference cooler. 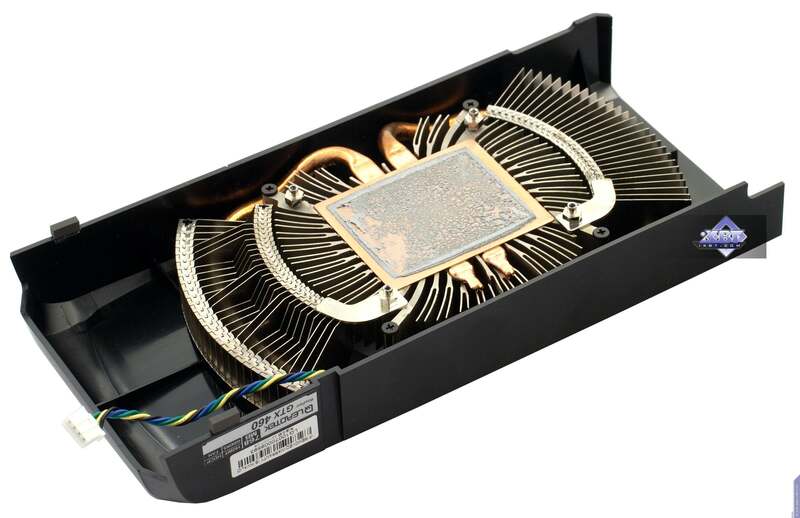 Under the cover is a oval heatsink with heatpipes. 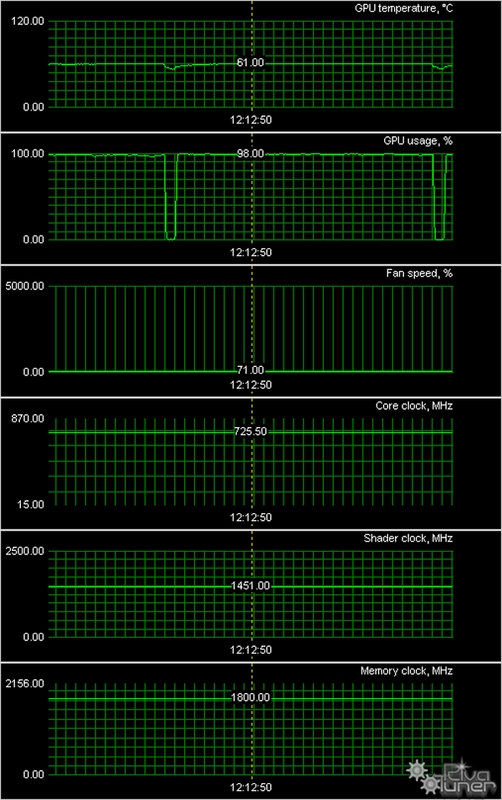 Only the core is cooled. Thanks to the low-speed fan, the cooler is quiet. 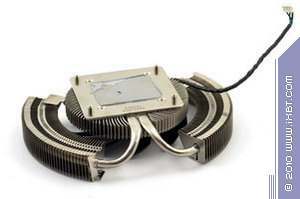 A Zalmanesque round cooler with heatpipes interconnecting heatsink's sides and bottom and a massive fan in the middle. 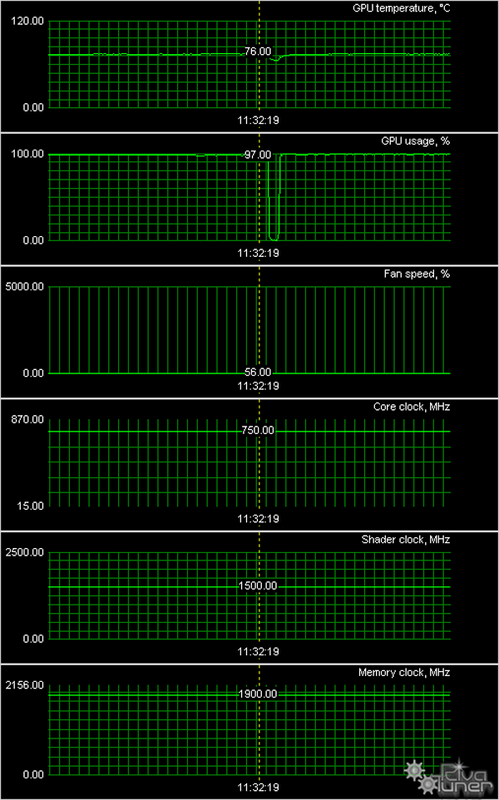 Only the core is cooled. 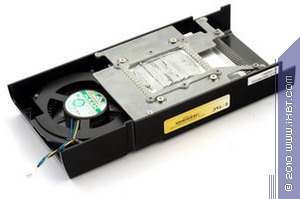 The fan is silent, so the cooler is very nice in this regard. 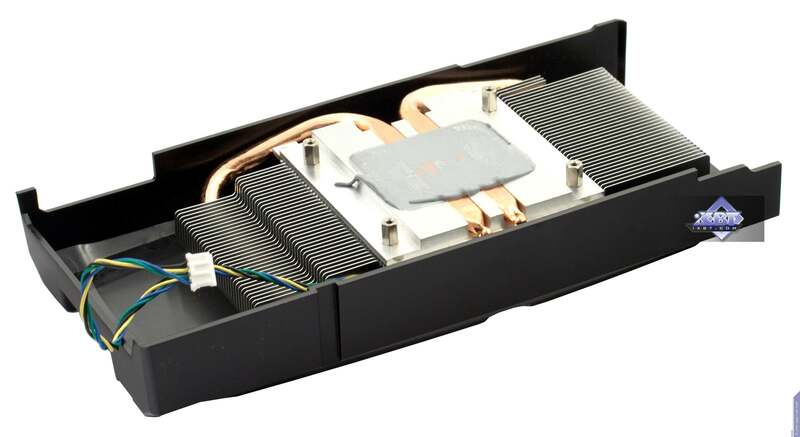 This cooler is very similar to Gainward's, just the cover has a slightly different shape. 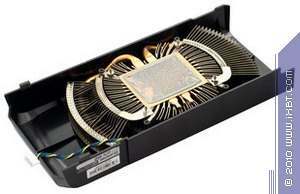 Zotac provides a turbine that drives air through the heatsink, cooling both the core and the memory chips. Thanks to the low rotation speed, the cooler is quiet. 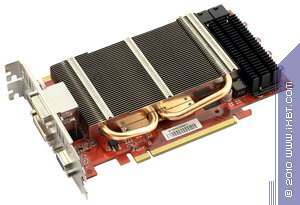 MSI's Zalmanesque cooler wins, Zotac's solution lags behind a little. 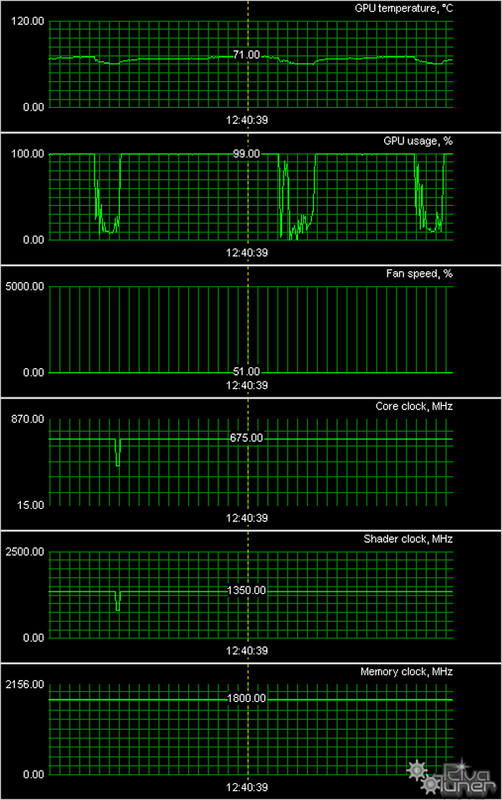 Maybe its low speed and that it cools both the core and the memory chips results in the higher overall temperature. Solutions from Palit and Gainward do a great job cooling down those noticeably overclocked cards. 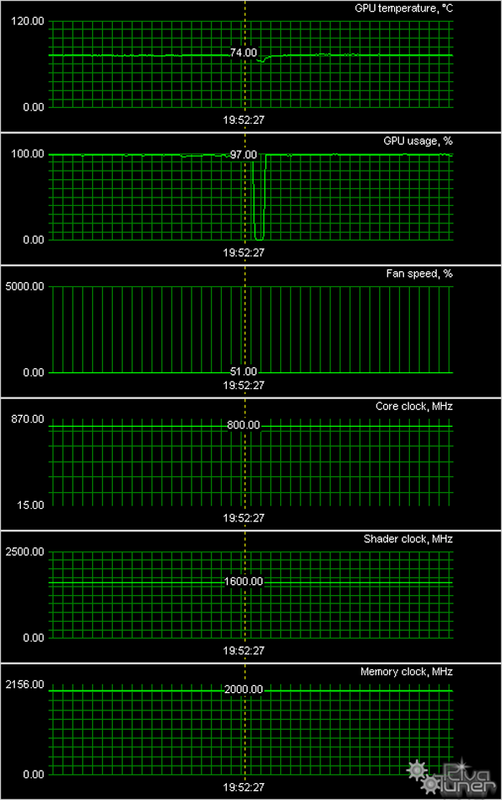 In general, the cooler performance is quite nice, the temperature doesn't exceed 80°C (except for that of the Zotac's card).